As part of our Machine Music series, 12 artists look back on a handful of drum machines that changed music forever. Inventors and engineers have been designing and building drum machines since the 1930s, but it’s only since the ’80s that we’ve seen an exponential rise in the number of machines on offer. Previously thought of as toys or too avant-garde, the post-Kraftwerk world saw all kinds of artists embrace the technology. What started as a simple beat emulator has transformed into a driver of creativity. 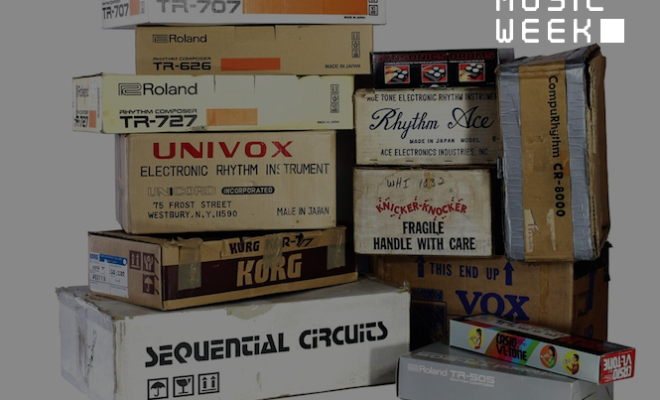 To get a sense of the history of the drum machine, browse through this timeline charting iconic machines of the past. In view of exploring the impact of these machines, we’ve invited a broad selection of musicians and artists to talk us through 5 of the most significant drum machines ever made. 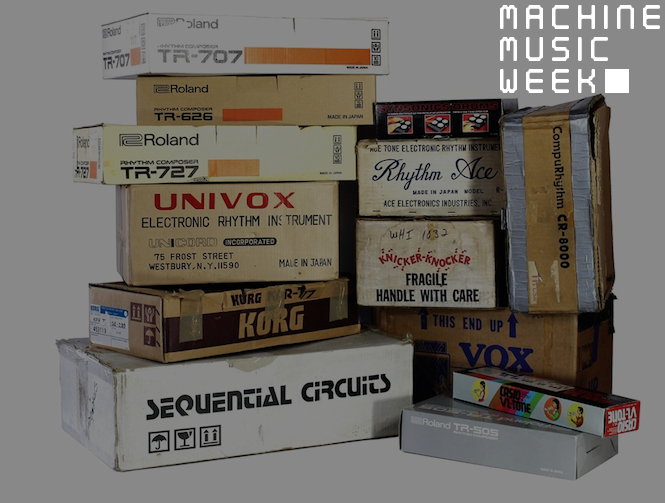 Click HERE to explore more of our Machine Music Week content. A classic piece of equipment that’s been used to produce more music than any other drum machine. When it launched it was widely considered a failure. Viewed as inferior to the incumbent American competitor Linn LM-1, it only sold around 10,000 units and was discontinued after just 3 years. Over the years, the commercial failure led to cheap and abundant supply which coupled with its rather unique character has led to a very successful second life. 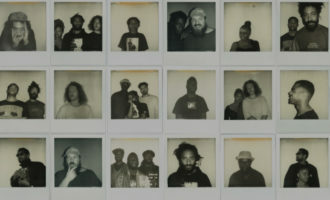 The 808 has blossomed into the cornerstone of production for countless artists, racking up something of a cult following. It’s not really a surprise that Roland revived the machine this year with an updated version. To find out everything you ever need to know about the 808, check out this super detailed feature by FACT magazine. 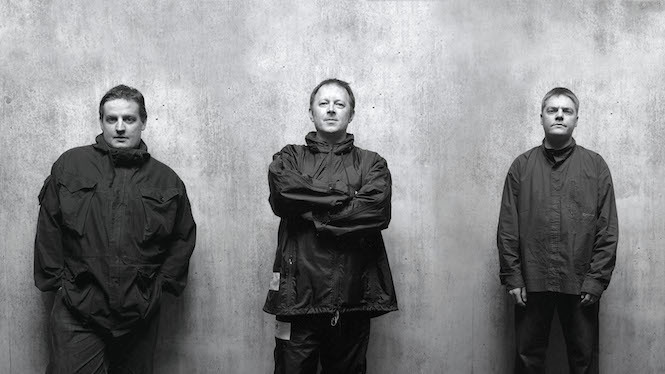 Who better to talk to about the 808 than 808 State? Formed in 1988 by Martin Price and Graham Massey, their debut release Newbuild featured Gerald Simpson who subsequently left to pursue a solo career as A Guy Called Gerald. Back then the 808 was the centre of their sound, as Graham explains below. The 808 must be important to 808 State. How exactly does the machine fit into your music? 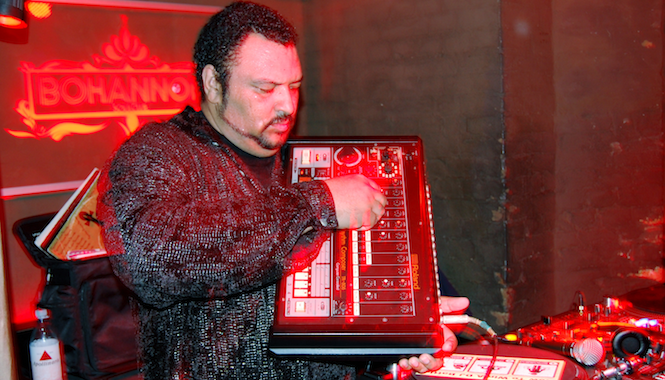 In the pre-Atari early days of 808 State, when Gerald was in the group, we used the TR-808 as the main engine to drive the sequencers on these little synthesizers called SH101s. This sometimes dictated the drum patterns; if you wanted 16th note sequences you would have to use one of the trigger voices like Cowbell, Rimshot or Accent to clock the synth note. Hence when you get a silly amount of cowbells suddenly coming through the mix like Morse code. You can hear a lot of auto drum fills thrown in, which is a programming feature of the 808. This would break up a straight rhythm every so often. TR-808 brings a harmonious palette of sounds, almost enough music in its self. Tell us about an unusual 808 track you made. Named after Manchester’s rubbish skyscraper, ‘C.I.S.’ (from Prebuild) is taken from a live jam on a local radio program, so it’s mixed in an odd way. Normally the 808 kick drum would dominate but here all those other 808 textures come to the fore – dry biscuit texture, rims, hats and snares, jelly like toms and congas. The weird stutter echo is a spare reel-to-reel tape recorder used as an echo box… no chance of it being in time. 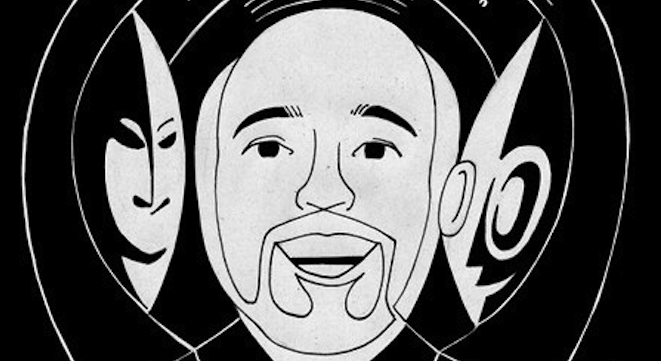 Probably better described as 808 Lover, Egyptian Lover is one of its most vocal advocates. 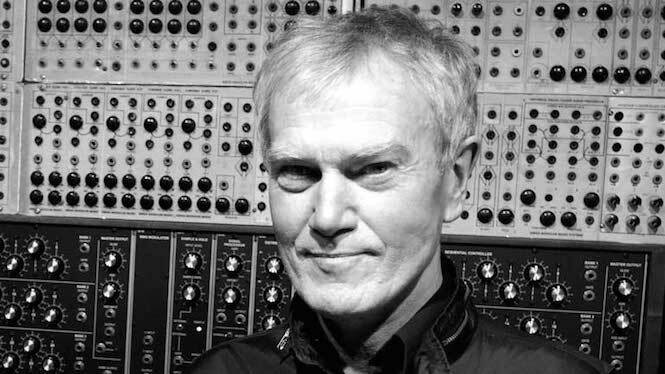 He provided us with the best Kraftwerk story ever when we last spoke to him, so we were eager to hear what he had to say about the 808. What is it about the 808 that you love? The Roland TR-808 is my choice of drum machine since day one because of it’s unique sound and analogue breathing soul. I remember when I first was introduced to the 808. I was at this club called Radio and I met Afrika Islam and he told me he knew Afrika Bambaataa and I was like: “Whoa, really? How did they get that sound for ‘Planet Rock’? What kind of drum was that?” At that time ‘Planet Rock’ was my favorite record and I knew I just had to find out how they made it. He then told me it was a drum machine called the 808 by Roland. We went to the music store the next day. I saw it and it was so beautiful. One of the workers helped me program it and I made ‘Planet Rock’ on it. I was in awe. It sounded like a new record. I had to have it. I got half the money from my mom and and bought this thing right away. I programmed it to the max and brought it to my next gig. This was a big gig. Uncle Jam’s Army at the L.A. Sports Arena with 10,000 party people. We had about 100 Cerwin Vega speakers and that 808 sounded so good. People were running up to the stage asking what record was I playing? I kept changing the pattern and breaking it down and everyone was in full freak mode dancing like crazy to the new beats I had programmed thinking it was some new records. I knew right then I had to make a record. 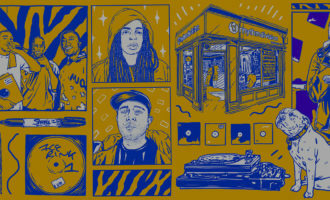 That week I filmed a documentary called Breakin’ & Entering with my 808 and we pressed 25 copies of the soundtrack. I played it at an Uncle Jam’s Army party and then Uncle Jam and I went into the studio and recorded ‘Yes,Yes, Yes’ and ‘Dial a Freak’. I could not get enough of this incredible drum machine so I went back into the studio and recorded ‘Egypt Egypt’ and today that record is still being played all around the world. And are you and your 808 still going strong? I’m recording a new album entitled 1984 and I’m using my Roland TR-808 on every song. And if you get a chance to catch one of my shows you will see me and my 808 – still making the crowd dance, scream and shout! His achievements in music go way beyond ‘Gabriele’. 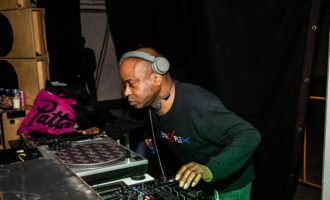 Initially a member of acid house pioneers Phuture, Roy went on to work in A&R for Strictly Rhythm while also running his Chicago-based label Undaground Therapy Muzik. 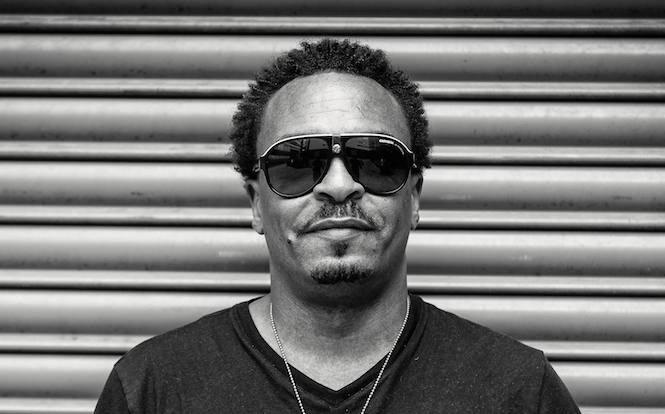 Have a root around his lesser known releases and you’ll find a rich supply of what he describes as ‘soul electrica’. Tell us about your 808. I can remember the first time that I got a hold of my Roland 808. Armando Gallop brought one over to my house with Steve Poindexter back in the ’80s, he was kind enough to let me borrow it for a month. The first track I made on it was a track named ‘N.Y. 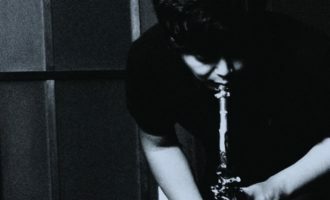 Sax’ – it actually came out on Saber Records, a division of Traxx Records, years later. I was really inspired by the 808 sound when Italo disco records were using it all of the time, so I couldn’t wait to get a hold of one. I used to play with one as a kid in DJ Pierre’s basement along with a Roland Juno 106. Those were the days! I always loved the kick drum and the clave. I could just bang out a beat in 2 minutes and just zone out for days. What’s special about the 808? There’s nothing that compares to the original warmth of the 808. I would sample it a million times and still couldn’t get it to sound the way I wanted to hear it the way it came out of its original Roland shell. Is there an 808 record that you’re especially proud of? I used the 808 on so much of my music throughout time, but I really loved how my Basement Traxx EP originally came out using the that piece on Kumba Records back in the day just raw and warm. Now we’re releasing it soon on Clone Records, I’m really happy that record gets to surface again. Also known as Headhunter, Addison Groove turned heads with the monster track ‘Footcrab’. 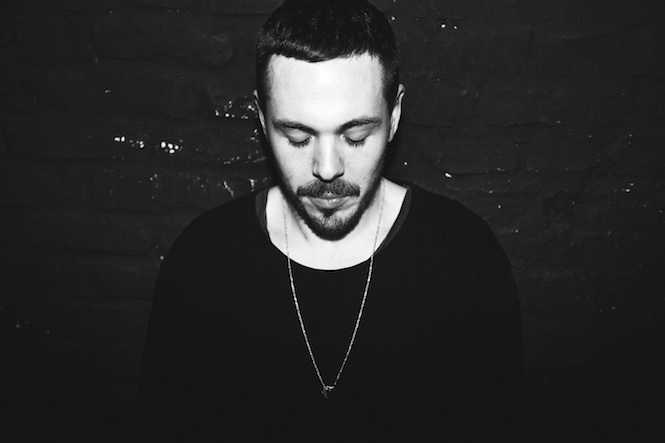 Known for marrying footwork with a bass-heavy UK style, he’s also developed a reputation for his finesse with the 808. What motivated you to get an 808? The main reason for buying one was to go and play the machine live in clubs. I had agreed to do 2 live gigs with it even before I had bought one, so I had to go and find the real thing. It took me a few days to learn and get it dialled down. I can honestly say, an 808 sounds better in the club than a dubplate and miles better than any digital file. It will blow your balls off. Tell us about one of your 808 tracks. ‘Work It’ is one of the first tunes I made with my hardware 808, anything previous to this was all sampled. Of course as soon as you get one you can’t help but try and sound like Bambaataa, so here is my take on the old electro sound from the ’80s. Like the 808, the 909 is being revived this year. Again, not a shocker given how important the 909 has become to electronic dance music. 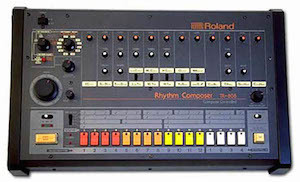 Launched three years after the 808, the 909 was a game changer because it was the first drum machine to incorporate MIDI, creating a partly analogue, partly sample-based hybrid. Second hand prices for the 909 experienced a free-fall following the release of the 707, putting the machine in the hands of early house and techno producers and paving the way for a generation of 909 tracks. 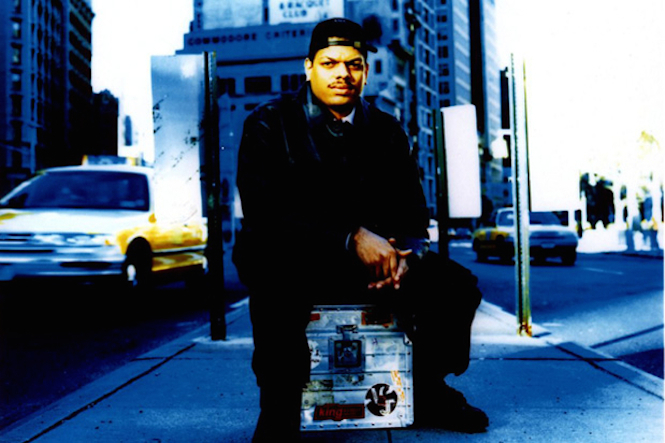 Kerri Chandler’s releases on King Street, Strictly Rhythm, Large, Nervous and his own Madhouse Records have established him as an icon in the house scene. His back catalogue of classic club slammers and jazz-influenced cuts are indebted to his modified 909, as he explains below. What was your first experience of a 909? I remember going into Red Zone with David Morales back around ’89 and Tony Humphries was playing. I was standing there and Tony had this crazy heavy track come in – I think it was a Tyree Cooper production. It blew my mind. I knew there was some kind of new drum machine behind it but I had no idea what it was. Little did I know the Chicago guys had been all over this for years. When you eventually got one, how did it fit into your production? I’ve always been into modifying my gear so when I got my 909 the first thing I did was open it up. I’ve extended the range on pitch and velocity on all the analogue pots to give me a whole new scope on my options which I think gives the track a different tone in the end. The beauty here is having sounds that are immediately familiar but different enough to matter. The 909 is my go-to machine when I start to map out anything new. Is there a 909 record that springs to mind? The 909 features heavily on a lot of my productions but I suppose what comes to mind is ‘Track 1’ from the Atmosphere EP. 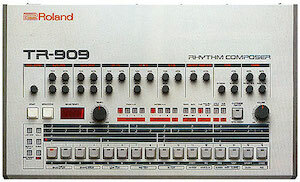 The 909 has appeared on virtually every release I have ever done in one way or another. From my early electronic days, 20 years ago, until now. I love this machine so much that I had mine modified for decay and tuning extension of the kick… all tucked away nicely in the cartridge slot, mind you, as to not destroy the original look. I also did this to the ride and hihats. (Hint: listen to ‘Hey Hey’ for those rides). This simple mod has allowed for my 909’s kick et al. to appear on virtually every record I’ve done for all these years. It has extended its life and usefulness. From Son of Raw to Sinfonia Della Note to the current crop of releases, that 909 is there in one shape or another and it is why I have requested that they bury me with it! It is to me the one machine that maybe not created the genre we call house but it is the one in my honest opinion the machine that solidified it. I’m not too sure that what we have today would still be here without the invention of this machine. I still believe Tadao Kikumoto, the inventor and wizard, deserves a Nobel prize in science for inventing it and defining a musical genre that would go on to bring joy and happiness to the world by proxy or at the very least a lifetime achievement award from NARAS (The Grammy’s). A hero with no equal in the culture/genre we define as dance music. Part of the new school of house but Santé is no stranger to classic gear. Below he explains why the 909 has become his machine of choice. Tell us about the 909 and your music. My first experience of the 909 was in ’98 at a friend’s house. I had an MPC but after I tried his 909 it became my favourite drum machine. 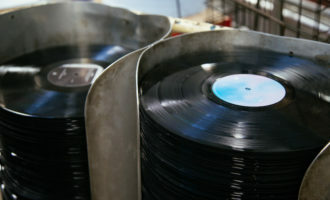 I loved being able to reproduce the sounds I could hear in my favourite records. I used many of the 909’s features prominently in ‘Talking House’ from the Talking House EP I just played with the machine until I found a loop I loved, then built from there! The machine itself is actually very limited but tuning the presets is what allows you to use the 909 in very creative ways. You start jamming around on a pattern, add some swing or play around with the tune or delay. I tend to use the 909 in every track. It just might be the kick drum or the cymbals, but mostly it’s the hi hats. I like to add them to the right tunes to give my tracks a groovy feeling! Taking inspiration from the LM-1, the DMX was made using digital samples of real drums. It was released in 1981 and features 24 individual drum sounds (created from 11 raw samples), 8-voice polyphony and a number of humanising elements. An expensive drum machine but its punchy and realistic drum sound made it the machine of choice for many established artists in the ’80s. It was especially popular with early hip hop producers like Run D.M.C. and Slick Rick but was also widely used on new wave and synth pop records. Today it’s mostly used to make dancehall and reggae music. 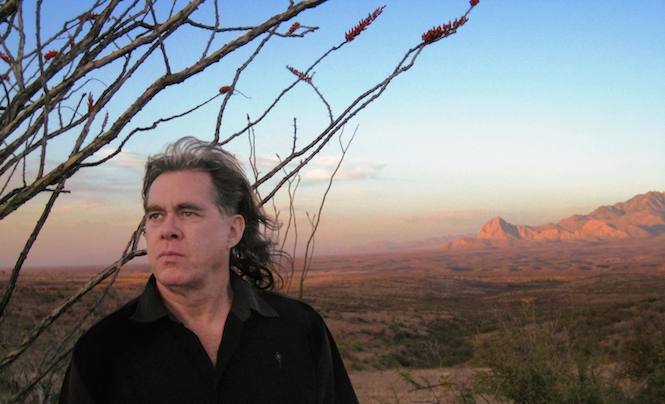 Inspired by natural beauty, space and time, ambient composer Steve Roach uses a mixture of analogue and digital equipment to paint beautiful soundscapes. 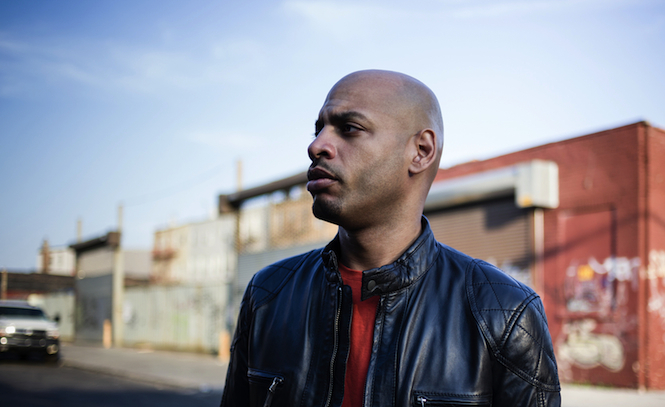 He was an early user of the DMX but later parted ways with the machine. When did you first encounter the DMX? I was living in West L.A. during the peak years of Oberheim, lots of friends worked there and I was in an electronic group with Danny Sofer who wrote the manuals and helped develop the machine. 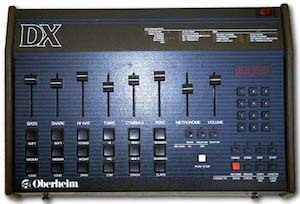 I would see prototypes at various stages of the DMX and entire Oberheim System which I would eventually own. That time was so exciting – to be at the birthing ground of those instruments and close to flame as it was happening. Tell us about a record you made using the DMX. For the tracks ‘The Breathing Stone’ and ‘In the Heat of Venus’ on Western Spaces, The DMX was the heart of the system. In this case with these pieces it was clocking everything you hear, The Oberheim System, Arp 2600, Ensoniq ESQ 1 Sequencer. A large number of synths and sequencers would all fire off in perfect sync when hitting play or record. These pieces I mentioned were created at the tempo you hear with each piece. On some pieces at that time I would create patterns and eventually use them much faster that the orginal tempo they were built at. Here I would create the beat structure and then evolve the sequence patterns on the synced up synths at the same time, in a back and forth process, as well as tuning the drums as its evolving. Again the volume sliders on the DMX were key to the instant feedback and shaping of the piece. This approach is still at the center of how I work today in many respects. What are some of the machine’s finer details? I am not so aware of the tech details of the machine, as a user if I remember correctly the MIDI options came later. I met and worked for a guy called Scott Morgan who had a booming business at the time making custom eproms for the DMX. Through him and later the Oberheim Prommer Eprom Burner sampler, I had some hand made sounds that were undefined in terms of the source but were very emotional and hard hitting. I would say the constant technique I would use never belting shut the lid of the DMX. I was always lifting the hood you could say and changing the pitch on each voice card with that small rotary wheel I can still feel on my finger tips. I would trade out voice cards all the time as well. I almost always tuned every thing down and low, even a crisp snare would sound wicked combined with a custom sound and deep tuned conga. Even in the the middle of a show I would have the lid up tuning sounds on the fly as it was running. And more generally how does the machine fit into the music you make? At that time it was the heart beat of the system. Even if a piece would eventually evolve away from the DMX, it was a big part of starting a creative fire in the studio. Another few tracks to reference would would be disk one of Dreamtime Return. Slow motion and the deep tuned –verbed DMX set was vital for that entire project. Well, sad to say I don’t have one now but this makes me want one back. I moved to a Akai -Linn MPC 60 back in the ’90s, I still have that here but there is something special about the DMX the sound, the interface, the limitations, all added up to a great hands-on, creative tool. Don’t know what led to me moving away from it other than perhaps I felt like after maybe 10 years of working with it I need to move into some other places. Might have to find one now! After thinking about my process it got me to thinking about how I could use the DMX now and I might give it a go. All my custom DMX sounds were sampled into my MPC 60 so it lives on there, but it’s not the same. So thanks to your interview-wakeup call, I’m heading in the direction of a friend in Baltimore who has one with a MIDI. I’m working out the details as we speak! 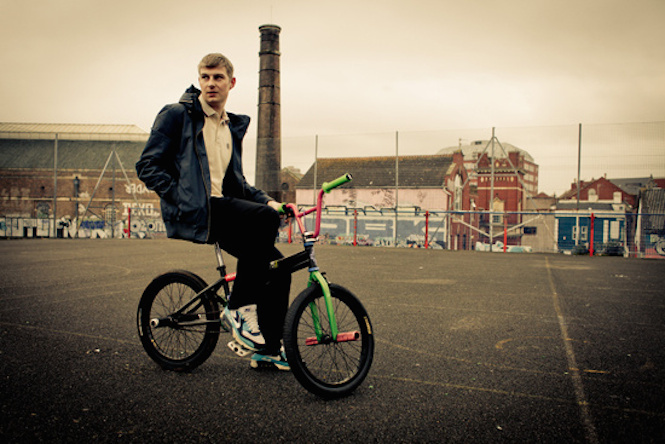 Kicked out of school at 16, he went on to become one of the premier names in jungle and drum and bass. His debut New Forms won the Mercury Prize in 1997 beating Radiohead, The Prodigy and even The Spice Girls to the award. For him the appeal of the DMX is its heritage. When did you first get a DMX? The first time I actually held a DMX drum machine was around 1995. I was working with a lovers rock singer called Richie Davies and when he used to come down to Bristol he would bring his DMX with him. It was the version where you had to burn the chip to change the snare sound and had the pitch control so you could transpose the snare sound up and down. A universal reggae sound for the studio . Due to my obsession with drum machines a very close friend of mine Lilly, who lives in Los Angles, bought me a DMX as a present and it still has a special place in my studio. I think I used the kick and snare on pretty much every record throughout the ’90s . One of the downfalls of the model I had was that I had to keep lifting up the lid to change the pitch of the sounds. So I probably dodged a bullet a few times when touching wires. Also it was an American voltage so I had to make sure the right leads were in otherwise it would be bonfire night early . Why is the DMX special to you? It’s not just about the music I make but more about the era I was inspired by. I remember hearing a story about the early relationship between the hip hop artist and the rock engineers in New York’s famous Factory Studios and the way they would treat the DMX as a live drum kit. The snare and kit and hi hat would be mic’d up as if it was a drum kit and that’s how those early funk jams got it so fat. Deep down I love my old school hip hop, soul, funk and reggae and it was all about the drum machine. All my favourite records featured the DMX. When I was making New Forms there was one track called ‘Watching Windows’ which was one part SP12 and the rest was the DMX. I used the snare from my DMX in pretty much all of my tracks but the track I remember the most is ‘Watching Windows’ because of the tempo change from 120 to 170. A very basic machine compared to the others but when Roland launched it in 1978 it was their first programmable drum machine. This ability to program and store patterns lit the passage for the development of the LM-1, DMX, 808 and 909. The CR-78 features 34 in-built preset rhythms which use analogue voices that are unrealistic sounding but gives the machine a distinctive character. The machine found its way on to many ’70s and ’80s classics like Phil Collins’ ‘In The Air Tonight’, OMD’s ‘Enola Gay’, Ultravox’s ‘Vienna’ and Blondie’s ‘Heart of Glass’. Rarely used today, we managed to track down an intriguing artist who is still incorporating it into his music. Foxx’s career has comprised of a series of unusual and fascinating paths. Originally frontman of Ultravox, he left to follow a solo career dabbling in everything from ambient to glam rock to video game music while also pursuing ambitions in graphic design and film making. His most recent project sees him collaborate with Steve D’Agostino to release an LP entitled Evidence Of Time Travel. When did you buy a CR-78? In 1978 when they first came out. I jumped at it. It was the first programmable drum machine, even though it consisted mainly of variable preset rhythms. I’d used a previous cocktail-lounge machine with Brian Eno, when we recorded the first Ultravox album in 1976. He’d used it on Another Green World and I loved the strange sound. It was really new and original at that time. To introduce the CR78, Roland really must have had their ear close to the ground to know what only a few key musicians wanted then, because it was a truly avant-garde idea to use a drum machine at all in those days – until that moment, they’d been the territory of lounge bar musicians – hence the leftover bossa-nova, cha-cha- cha and waltz presets. What are the technical details of the machine? In reality, it was a non-dancing Japanese programmer’s idea of strange Western generic rhythm patterns, so inevitably eccentric and electronic sounding – which endeared it to me immediately. You could also press in more than one preset button at a time and so combine rhythms, take elements in and out – and also you could buy an extra – a programmer button, to inject new bass drums and snares. Miracle. Plus you could synchronise to a sequencer and plug everything up through effects and echoes to mutate things even more – even get the machine internally modified, so you could separate the instrument sounds, since it was all in mono and everything came out to a single jack. Of course, conventional recording engineers despised all this because they were trained to handle real drums, but that was all so elaborate and time wasting. They literally took days to set up mics and EQ etc. A real pain. The CR78 was an instant liberation.Only a very few truly perceptive engineers- like Gareth Jones who I worked with on ‘Metamatic’ – realized that here was something new and a significant departure. How did discovering the machine affect the way you made music? It totally changed my working methods. I loved the fact that you could plug it in at home and you had a ready-made atmosphere and a strange rhythm – immediately. Absolutely perfect for writing. Some of the patterns were really original and good – gave me strong ideas for songs as soon as I turned the little devil on. 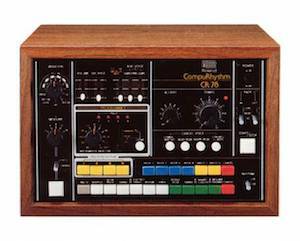 Of course, I realized that the CR78 was only the beginning of the road toward truly flexible rhythm devices, from it you could immediately see what else was needed for their evolution – sure enough, the 808 and 909 came a few years later, then the LinnDrum. But I still found I liked the CR78’s primitivism, and found I kept on going back to it. I came to understand that its rigidity forces you to work in certain ways and I like that. Its very limitations would give me ideas. It also gave me a good part of my distinctive sound – and that’s absolutely essential for any artist. You have to differentiate yourself from everyone else somehow. As soon as you hear that wonky, clattering metal beat, you’re right into an alternative sonic universe. And it was all mine – no-one else had ever used it so prominently, or in quite the same way. Always felt very gleeful whenever I switched it on. Off you went into another place. It was a true transportation device.I only ever wanted to use well-considered, simple machines that give immediate results. Complexity is not the same as complication. Anything unnecessarily complicated is therefore badly designed and would immediately hit the bin. I didn’t have time to mess around – there was so much else to do. I like a machine that, when you switch it on, you light up. The CR78 certainly did that. Still does. We hear your new album features the CR-78. On Evidence of Time Travel, the CR-78 determines all the basic tracks and sounds – it really becomes a sort of a lead instrument, at least equal to the Arp. 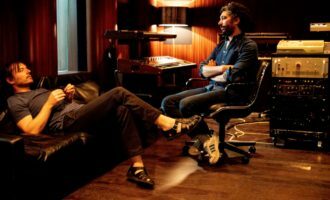 Steve D’Agostino – who worked on the production and arrangement as well as much of the composition – really loves those sounds and understands that sort of instrumentation better than anyone I know. He did it all so beautifully. Last but not least is the Linn-LM1. Introduced to the world in 1980 for a whopping $4,995, it was a landmark machine. 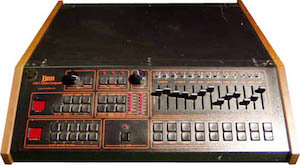 Prior to the LM-1, machines synthesised drum sounds from white noise or sine waves. The LM-1 changed that by using digital samples, resulting in an extremely realistic sound and inspiring a wave of similar drum machines. Another key feature is its programmability which combined with the credible sound made it a highly desirable piece of equipment at the time. Best known for producing seminal work from Suicide, The Ramones and Blondie, Craig Leon’s own career has been bubbling away quietly for years. 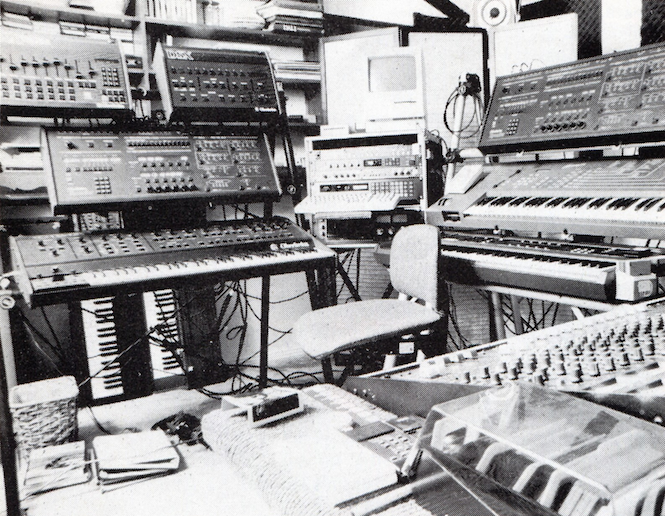 The reissue of his seminal synthesizer album Nommos last year became FACT’s number one reissue of 2013. It’s also one of two of his records that make heavy use of the Linn LM-1. When did you first encounter the LM-1? I first came across the LM-1 through a friend of mine who was a close friend of Roger Linn. The machine that I had access to was one that was done up before they were generally on sale. 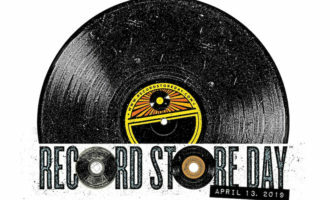 And did you use it on many of your records? There were only two recordings that I used the Linn LM1 on heavily. One was Nommos. And the other was an experimental collaboration with Arthur Brown called The Complete Tapes Of Atoya. That came about when I was learning how to use the machine in a studio down in Texas when Arthur dropped by unannounced and asked if he could sing over the sounds he was hearing through the open window of the studio control room. I think that the rather unconventional way that I used it leant itself to creating the sonic environment of those recording, especially with Nommos where the LM-1 was an important element. What was unusual about the way you used it? Well I didn’t know the technical details for the machine as I didn’t have a user’s manual for the one that I was loaned. 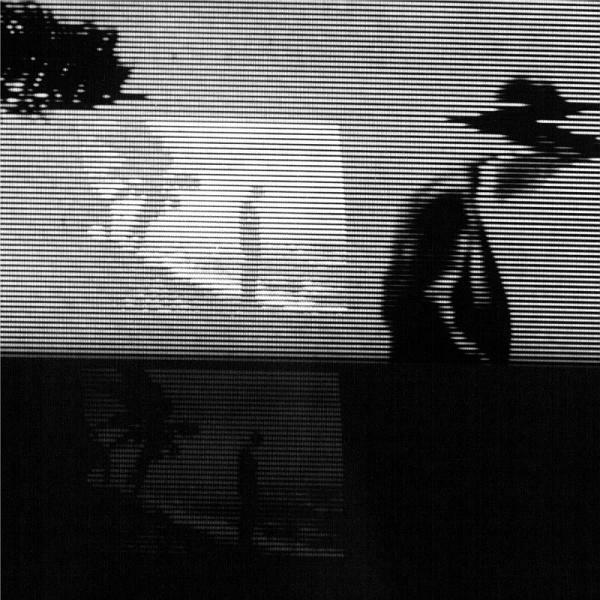 So I just played around with it and played in loops of what I had sketched out on paper and sent them to strips of analog tape. I didn’t use the ‘natural’ internal sounds of the machine in the recording but processed the outputs heavily. I was trying for sounds that were not immediately recognisable and I hope that I achieved that. 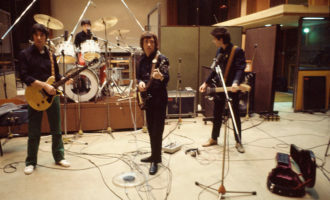 Loops are a common place part of modern recording but it was quite a kick to use them back in the pre computer DAW /dawning of the digital era. Cheers to Roger Linn for starting it off. Formed in London 1979 by Neil Arthur & Stephen Luscombe, the synth pop duo were successful through the early 1980s with hits like “Living On The Ceiling”, “Waves”, “Blind Vision” and “Don’t Tell Me”. They split in 1986 and following a 20 year hiatus they reformed and began releasing new material in 2011. When did the Linn-LM1 feature in your music? 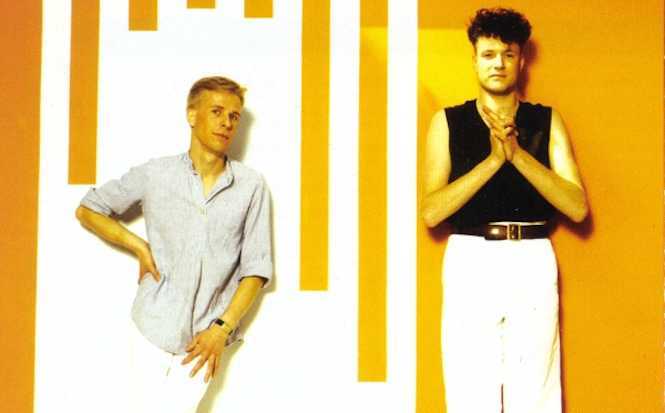 We used it working with Mike Howlett on songs from Blancmange’s first album Happy Families. As ‘non musicians’ it was the first drum unit that we’d actually played. You’d select the tempo, hit record and start hitting the buttons, roughly in time hopefully. The quantising snapped your efforts to the nearest 1/8 1/16 or what ever you’d preselected. Then we’d overdub ’til we got bored. Prior to that we’d used units with preprogrammed drums or step time input units. What do memories do you have of the machine? A new thing to use on it was the copy track function. This enabled us to copy say a verse pattern (pattern 1 to pattern 2) then add a snare fill and so on. I think you could use “song” mode to enter the sequence and bob as they say is your uncle. On the first album the Linn-LM1 was the start or backbone of almost every track. As I remember we’d sync the Linn, a sequencer and say a Korg MS-20, get the bass pulse running from the trigger work out the arrangement and be off (to the pub).